Offering your customers the option of automated recurring payments helps you avoid the common headaches that come with chasing and receiving payments, and managing your cashflow. You can get paid faster, automatically and with no fuss. This feature has been built into Saasu. This means no third party recurring debit or credit card provider add-ons are required to sit between Saasu and your payments provider. This feature is available on all file types. 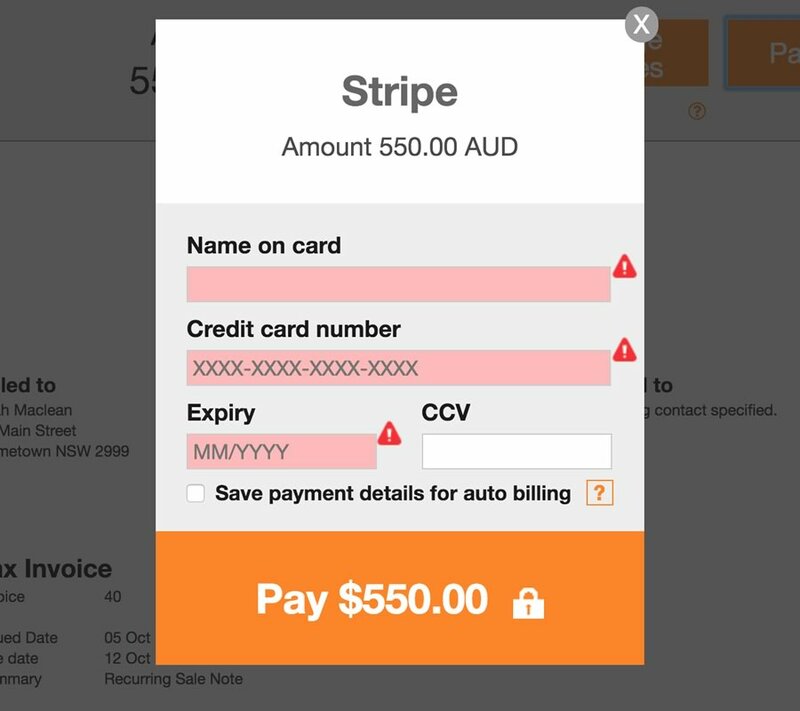 Currently recurring billing is only supported for the Stripe payment gateway (additional payment gateways will be added in the future). You will need to have a recurring sale create an invoice before the recurring billing can take place. Once that is setup, scroll to the bottom of the recurring sale screen and tick the Auto Billing checkbox. 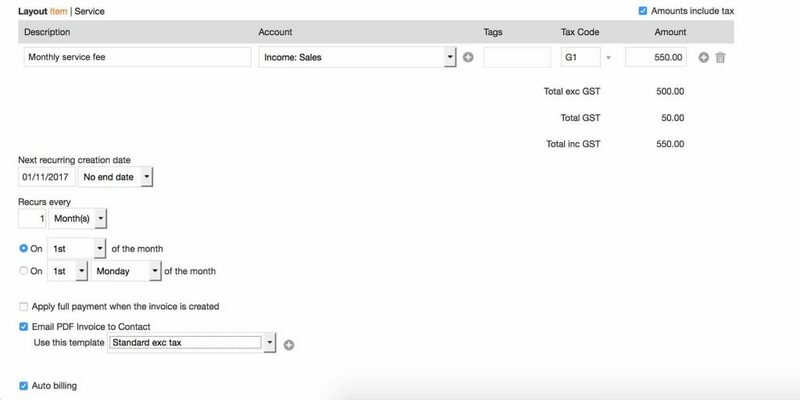 Once you have enabled the Auto Billing, the next time a recurring sale invoice is emailed to your customer they will have an option to save the payment details. This will save the payment token against the contact and the contact’s card is charged automatically on the Due Date of the next invoice. Once your customer has saved their card details for future payments, when the recurring sale is run, and the invoice created, the future payments will be processed automatically via the payment gateway. Note: If the due date is in the future, the customer’s specified card is charged on the due date by the payment gateway. If due date is COD (Same date as Invoice date) OR no date is specified, the card is charged by the payment gateway when invoice is created. All payments processed through the Auto Billing will be listed in this report, either as success or failed. If a payment fails then it will be listed with the status that is returned from the payment gateway provider. No, you can connect only one payment gateway, currently only Stripe but with further gateways to be added.